Some of you guys know I am a carpenter. However mainly framing and renovations and finishing. 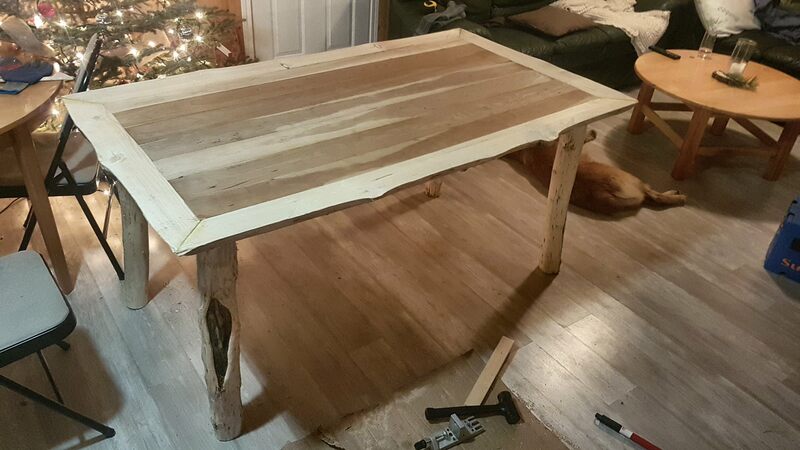 I bought my first house within the year ( our dream on a acreage), and I promised my wife a new kitchen table. So I took on the project of cutting down some trees on the property and make my first log piece. It was a enjoyable experience and learnt some do's and don't's for next time. This is the final phase of it constructed. I am still waiting on it drying more completely as it was green wood for most of it. Its still looks great and super strong and it's not even finished yet. 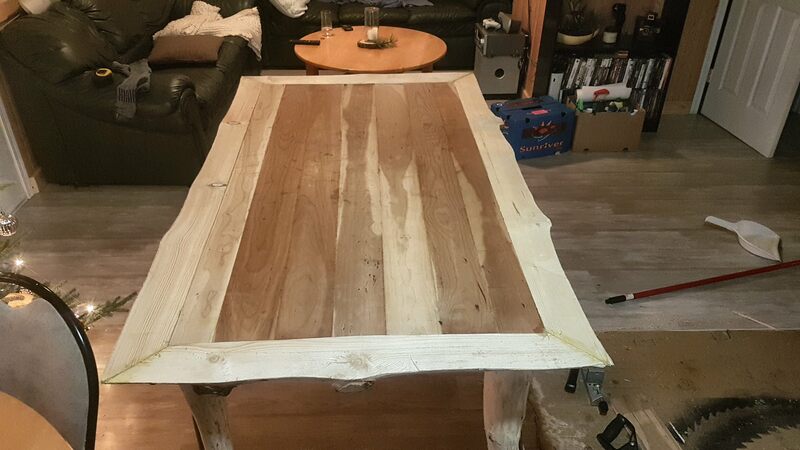 Final final phase will be some sanding and filling small cracks and a oil finish of some sort. I have not decided on what oil finish I am going with yet. I am however excited to see it actually completed. It took me about a week start to finish with my time after work which isn't that bad in my mind. All with hand tools. Pulling the bark a large draw knife. Milling the logs with a chainsaw (okay not REALLY a hand tool), a hand plainer, a drill and saw. 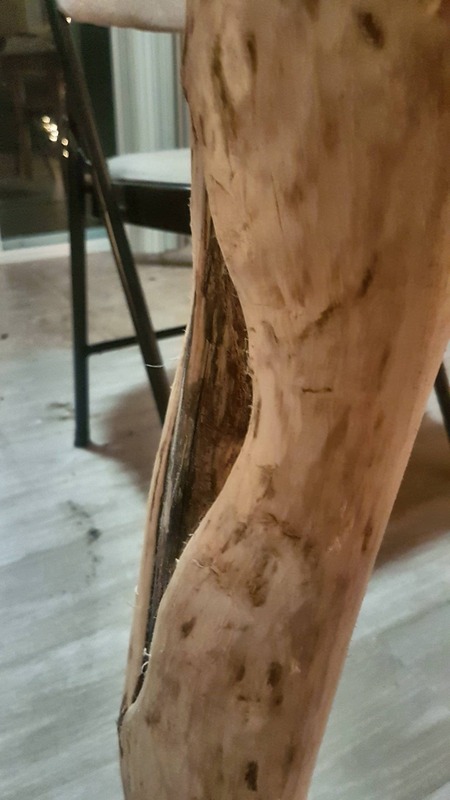 Each leg (Aspen wood) has its own unique feature of "cat face" (the black design on the leg), which I pointed all outwards. The border is was a Spruce, and the core is Cherry. 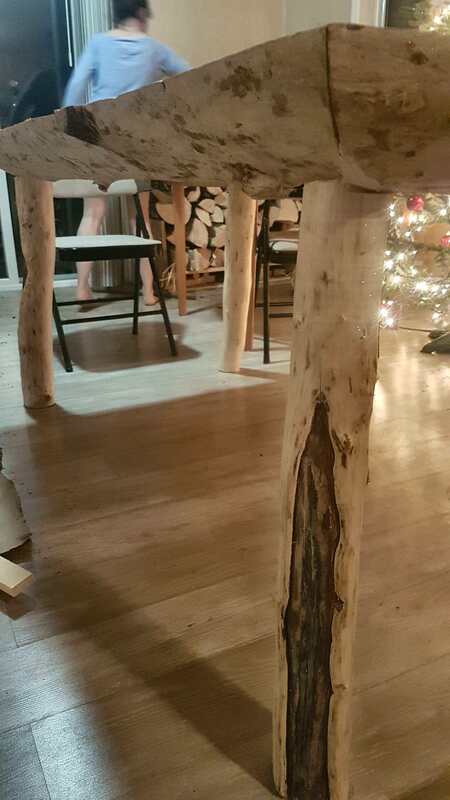 I cut the Spruce into 4 quarter logs, so its is still rounded on the bottom. I write poetry and short comedic stories. and i wait for you still. I was in Paris then. had nothing between the ears. It forms a semi-autobiographical tale of a failed writer, growing old and dying, looking back at the failed opportunities and painful moments of his life, supposed to be in equal parts humourous and melancholy. Lot of First World War inspiration, as well as the post-20's Modernists and latter social-realist movement of the 50's. One question - When/If published, what will this entail? Possibly added to a global book? I assume then royalties? I guess that is three questions.. Derp. Anyways again, great work. Good luck on getting it published! At work I am a mechanic (engineer) for trains. But my heart beats for cars. So i am a hobby mechanic (engineer) for cars.!! And if I'm not screwed. I play games like you or i working on other things or do nothing. Gotta get your self a pair of ski skins and touring bindings! Looks good though! @"PFC Wassili"